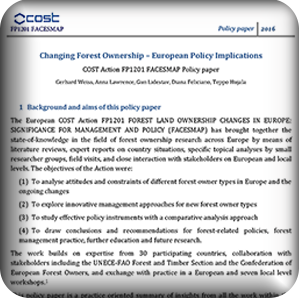 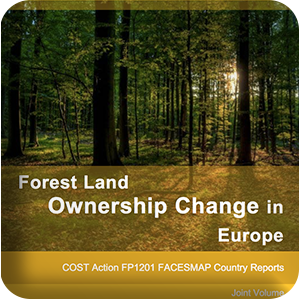 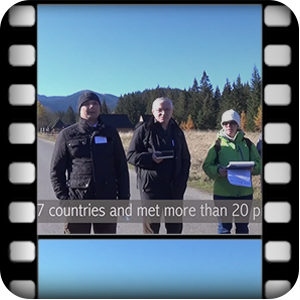 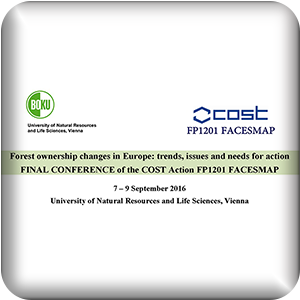 COST Action FP1201 FACESMAP (Forest Land Ownership Change in Europe: Significance for Management and Policy) is dealing with forest ownership changes across Europe. 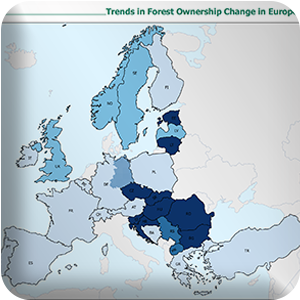 In some areas a growing number of so-called “new” forest owners hold only small parcels, have no agricultural or forestry knowledge and no capacities or interest to manage their forests, while in others new community and private owners are bringing fresh interest and new objectives to woodland management. 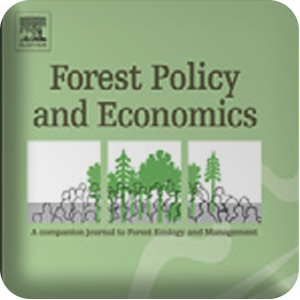 This diversity and change creates implementation problems for forest-related policies including biodiversity conservation, timber and renewable energy supply, climate change mitigation, or recreation. 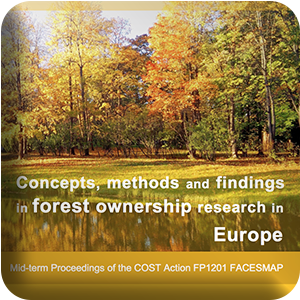 You can find the FACESMAP Action Brochure here. 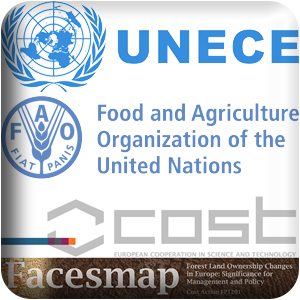 More information on the FACESMAP Action find at the COST Office website.